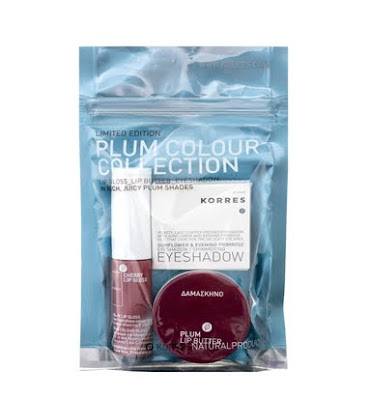 Korres Plum Colour Collection ($29.50 value): A collection of three Korres products in the delectable Plum flavor. This collection includes Plum Lip Butter, Plum Cherry Lip Gloss and Plum Sunflower and Evening Primrose Shimmering Eyeshadow. 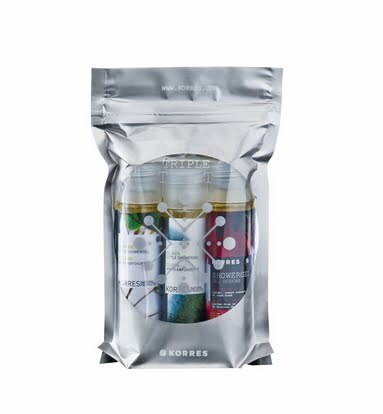 Korres Triple Treats Showergel Trio Collection ($12 value): A collection of three shower gels in intoxicatingly delightful scents, including Jasmine, Guava and the brand-new Japanese Rose. Entering is easy. Simply enter your name and email address in the box below. The two winners will be selected on Sunday, December 6 and notified by email. It's that simple! This giveaway is open to US residents only. Giveaway runs until Saturday, December 5 at midnight. One entry per person, email address and IP address. Multiple entries will be disqualified.